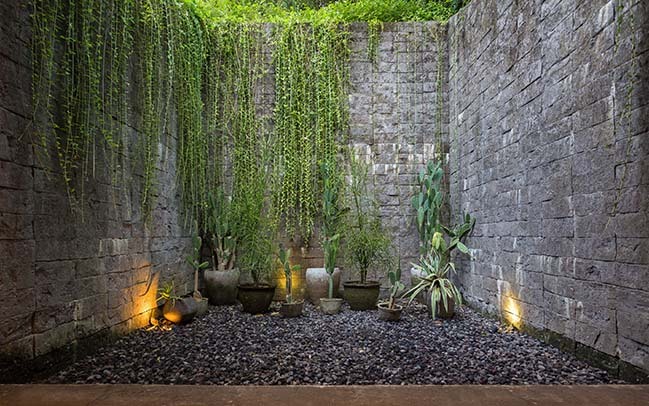 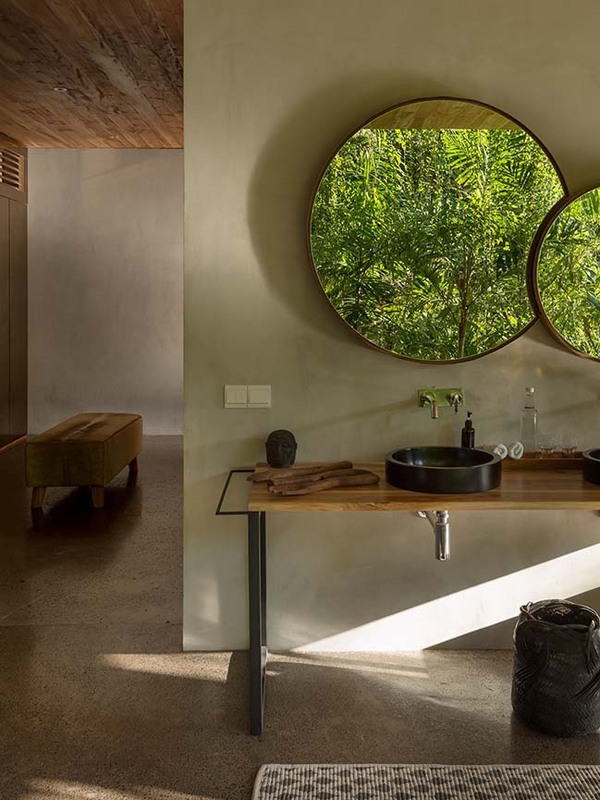 Chameleon Villa is a residence located in the area of Buwit, a village in the lush interiors of the southwest coastal area of Bali. 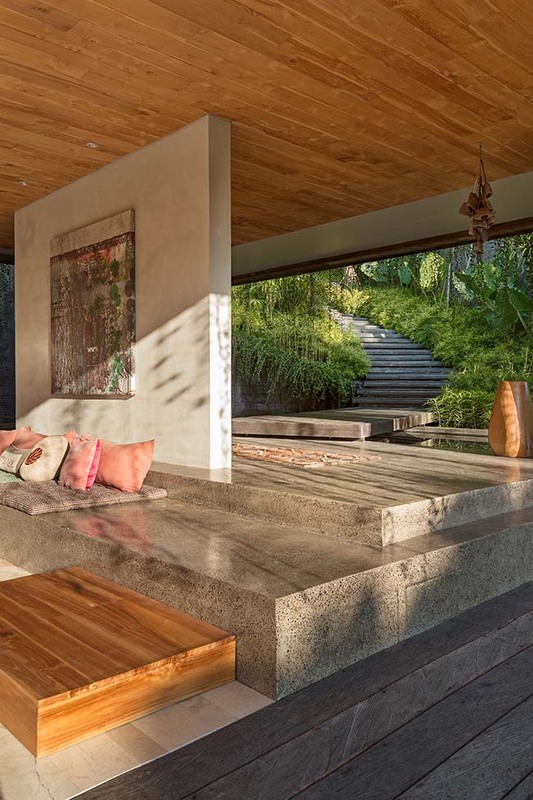 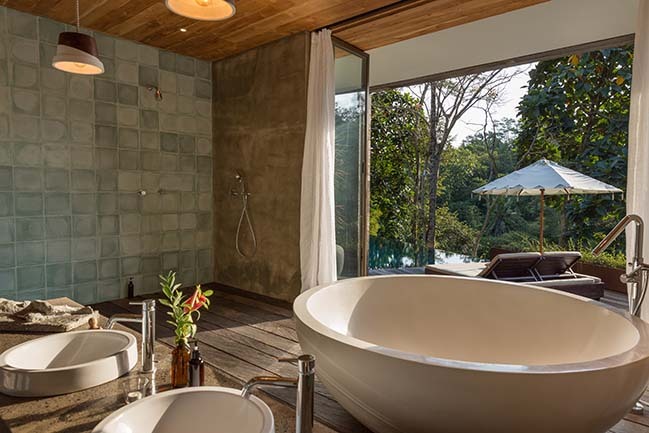 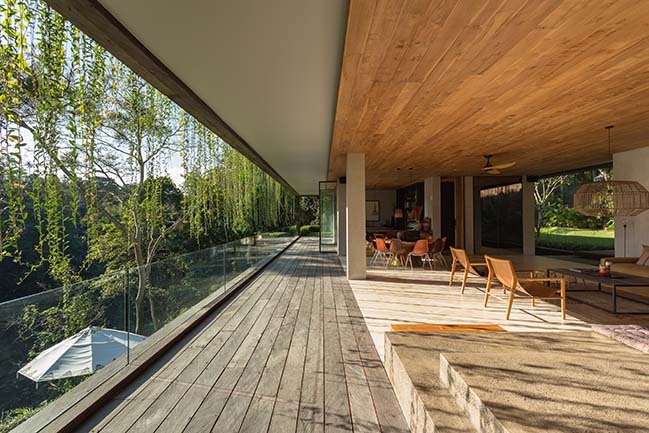 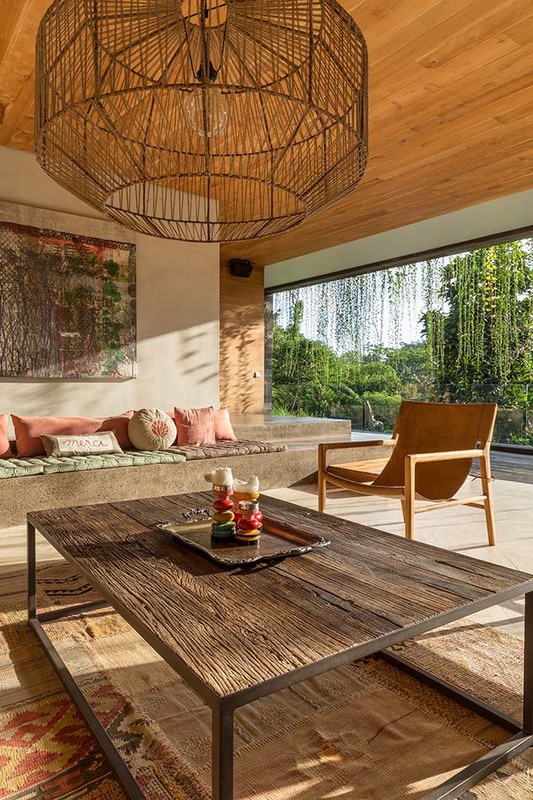 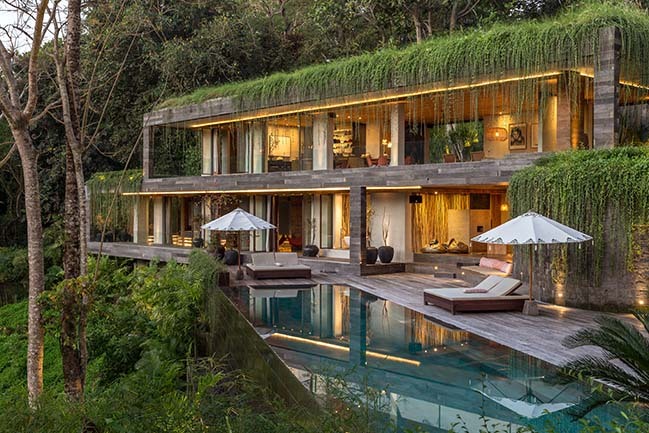 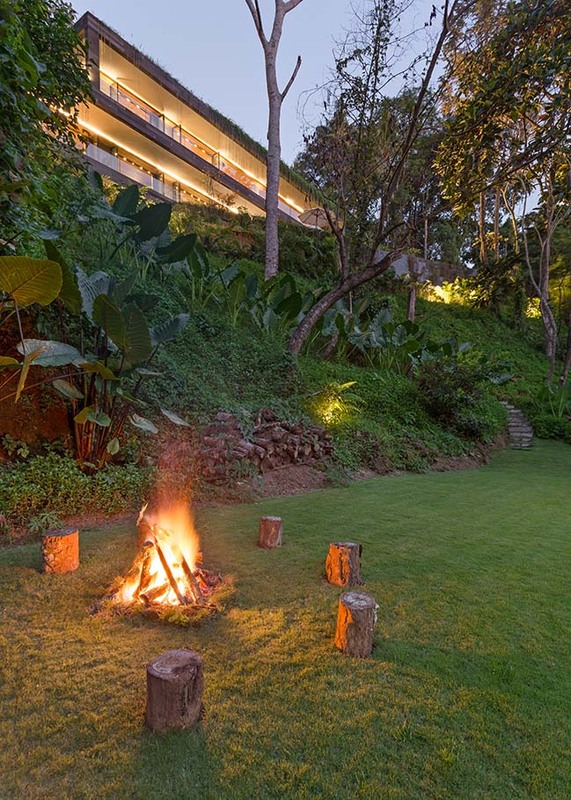 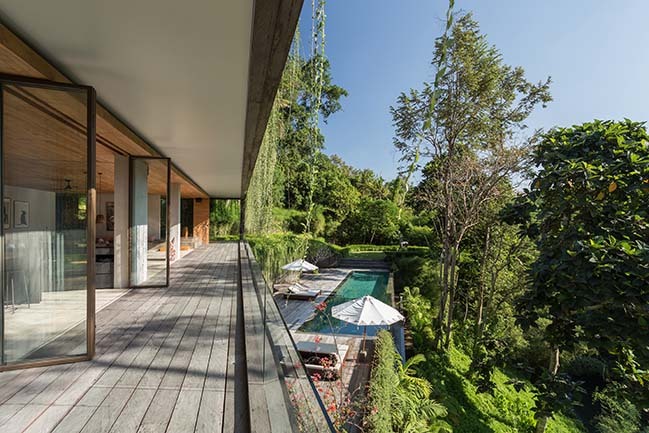 Constructed on an acre of land, overlooking a dense forest and a gentle river below, the villa sits on a steep contour with an 11-meter difference of level between the arrival area and the river that runs the western length of the property. 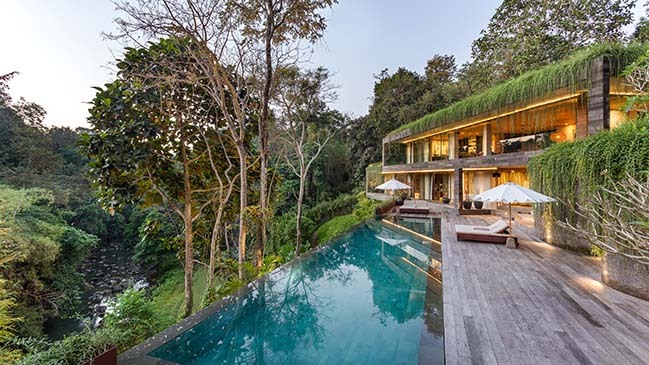 Given such a spectacular location, the challenge was to create an architecture that truly connected with its surroundings and that integrated well with the topography of the site. 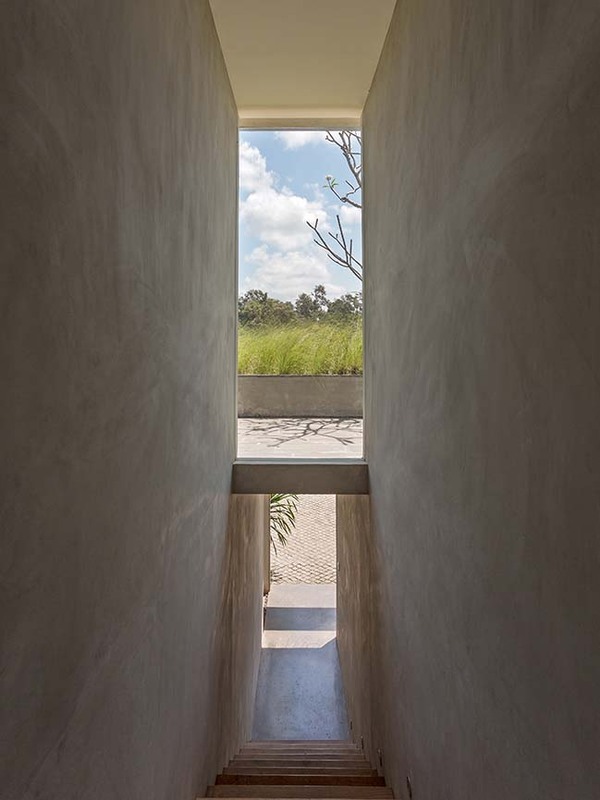 From the architect: We worked on the idea of ‘landscaped architecture’, by blurring the boundaries between natural and built environments. 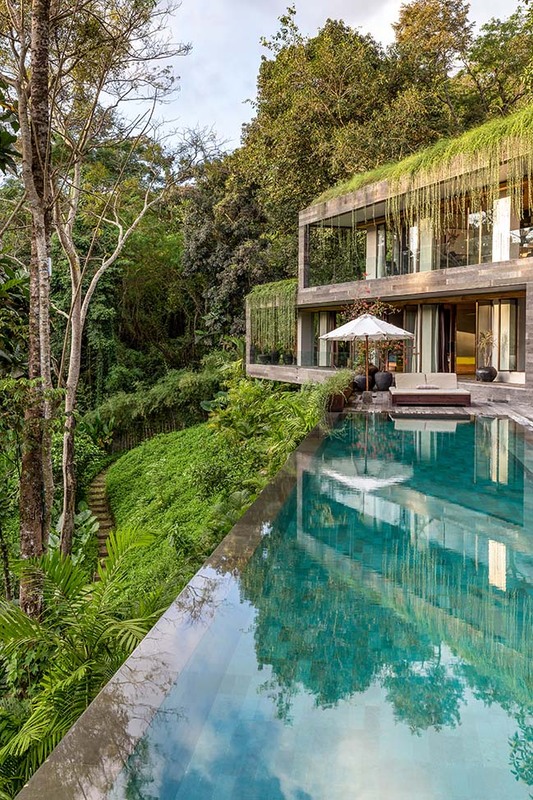 As a result, the buildings appear to be a part of the land itself sometimes disappearing within it, and then at other times, emerging from it. 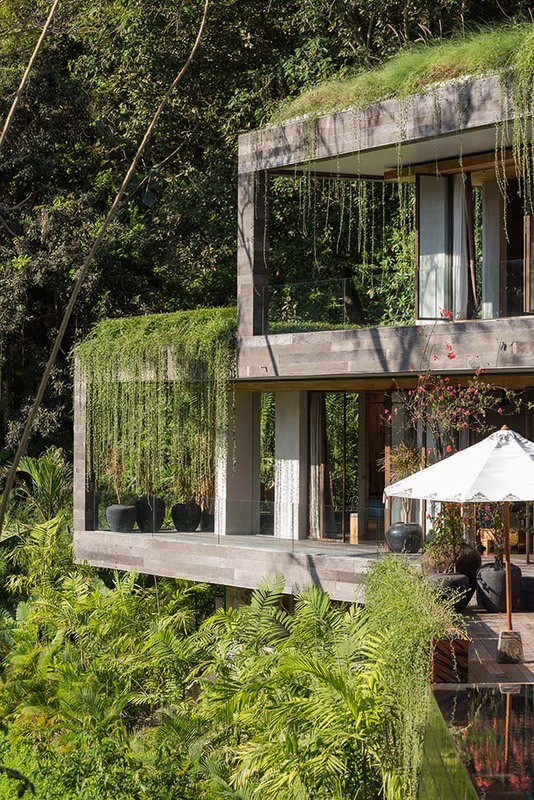 The buildings are situated on different levels of the land and they follow the contour lines in a way to take in the vantage points towards the river below and the forest across. 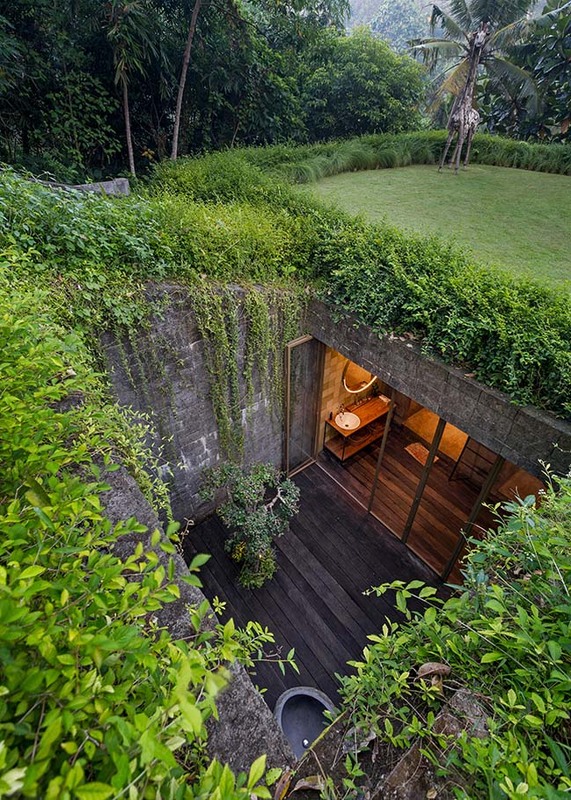 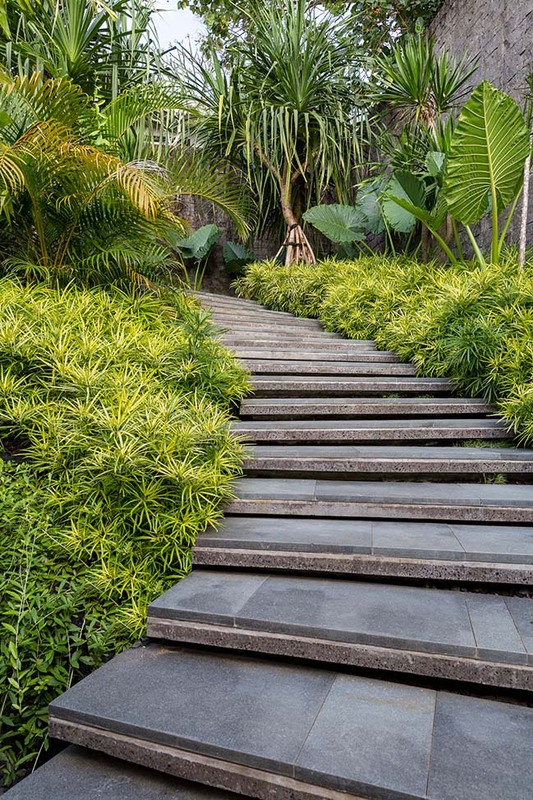 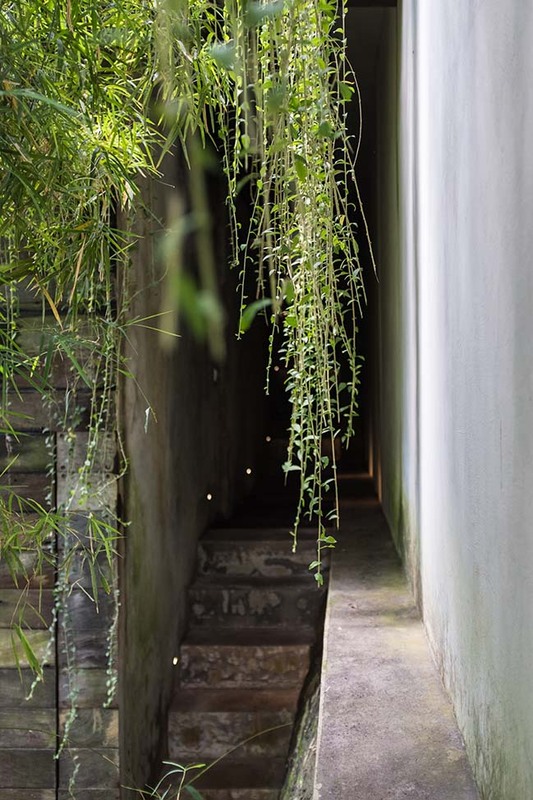 The rotation of the volumes on the land follow these criteria and allows the creation of in - between spaces and gardens to enjoy which would otherwise be difficult to experience on a land of such a steep pitch. 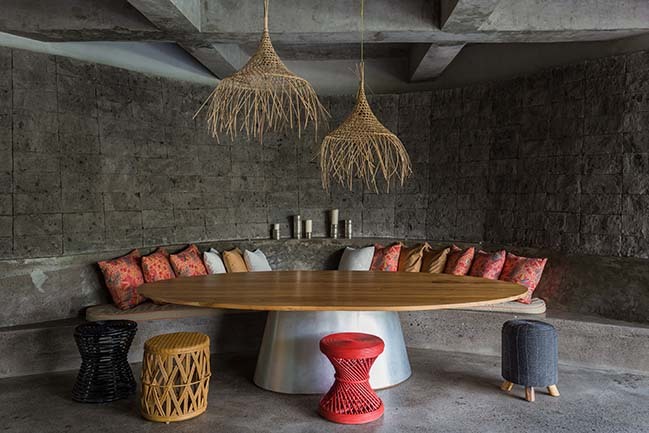 As per traditional Balinese architecture the different pavillions accomodate different functions and all communal spaces are kept open towards the elements whereas the bedrooms and other more private spaces such as office, gym and media room are closeable volumes. 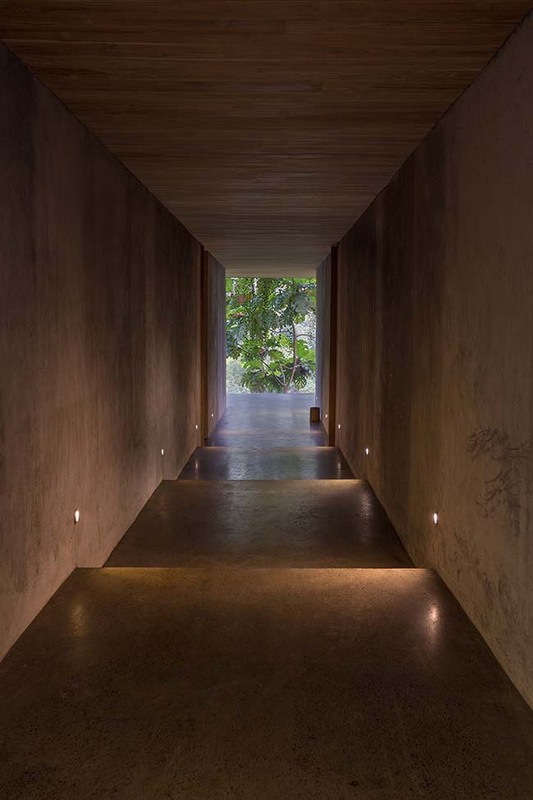 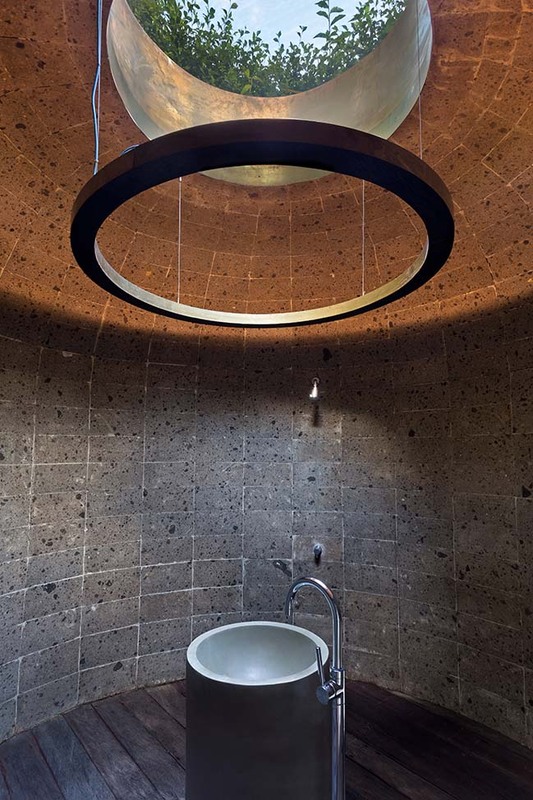 The result is a composition of volumes that are clean and modern but at the same time they feel ‘earthy’ and organic. 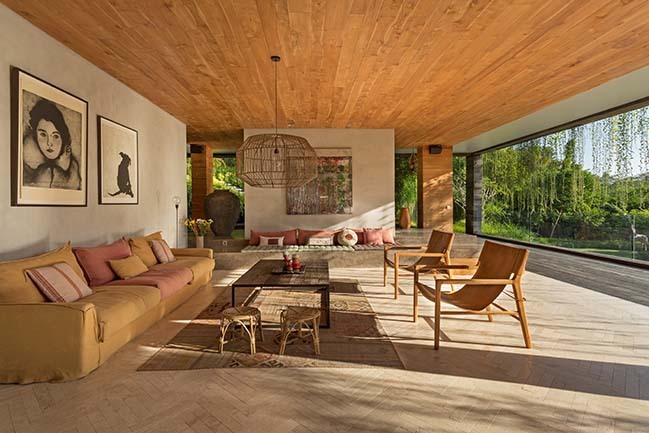 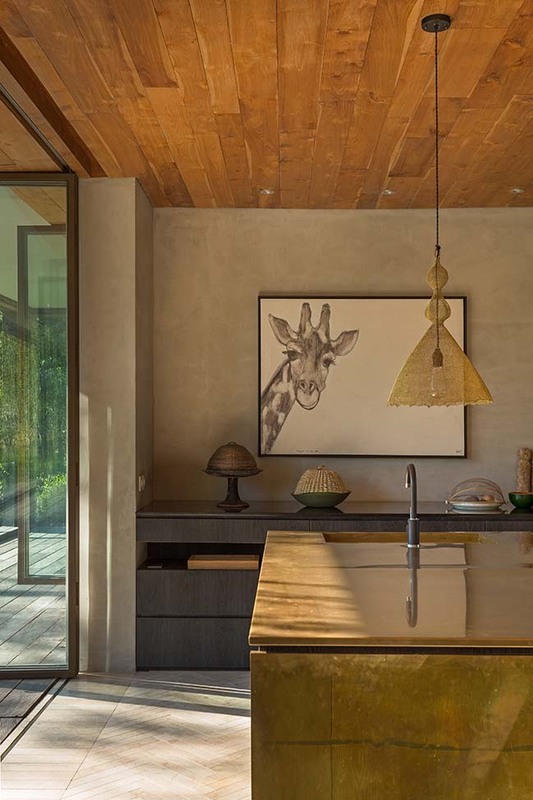 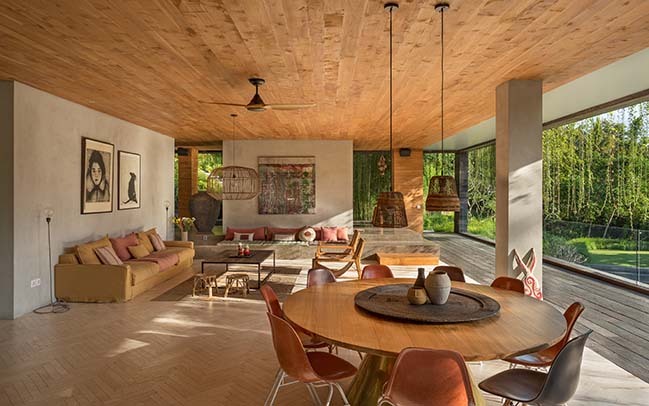 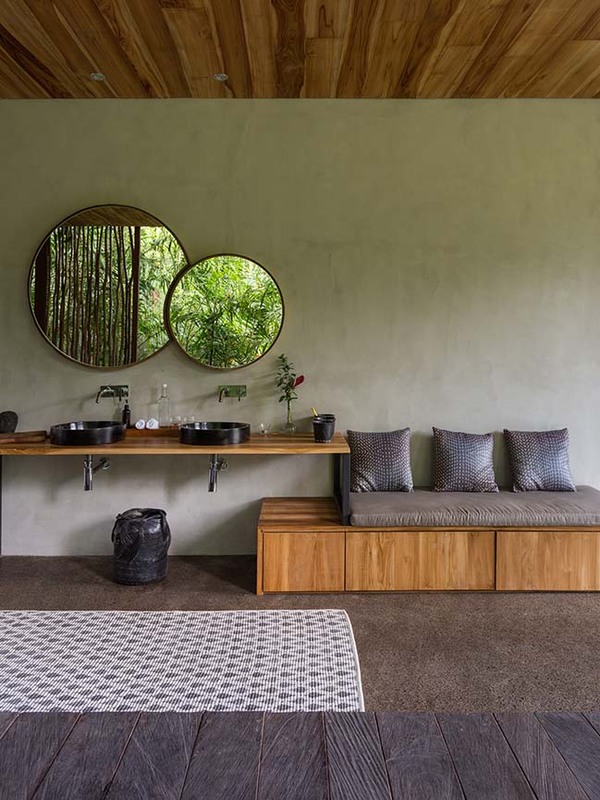 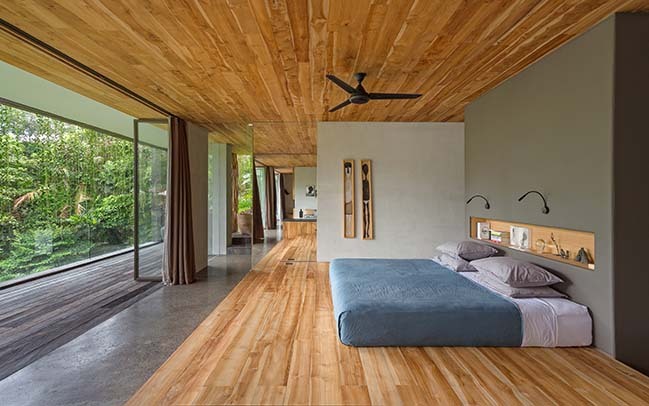 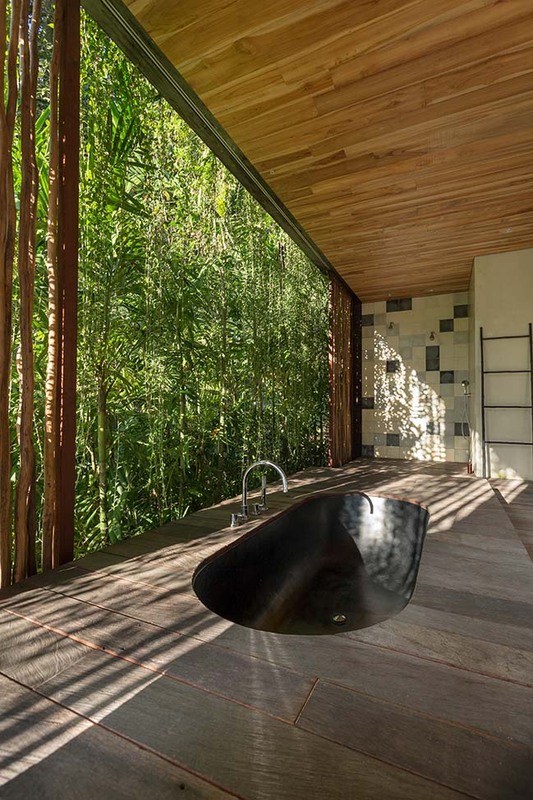 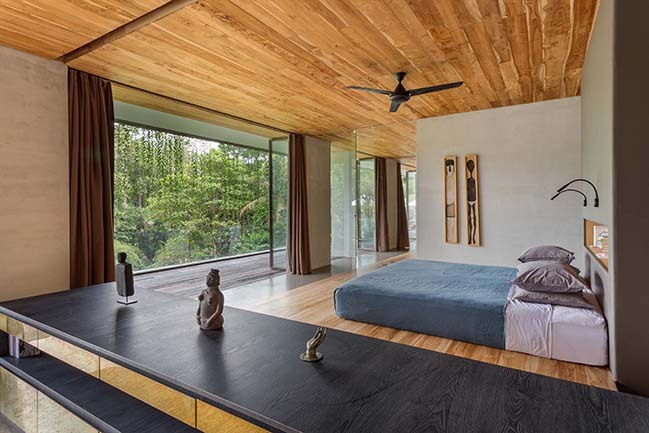 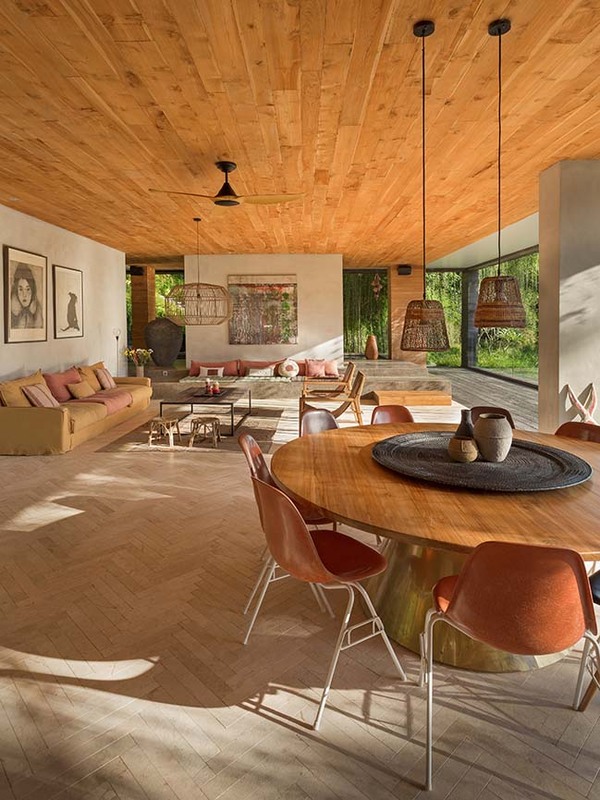 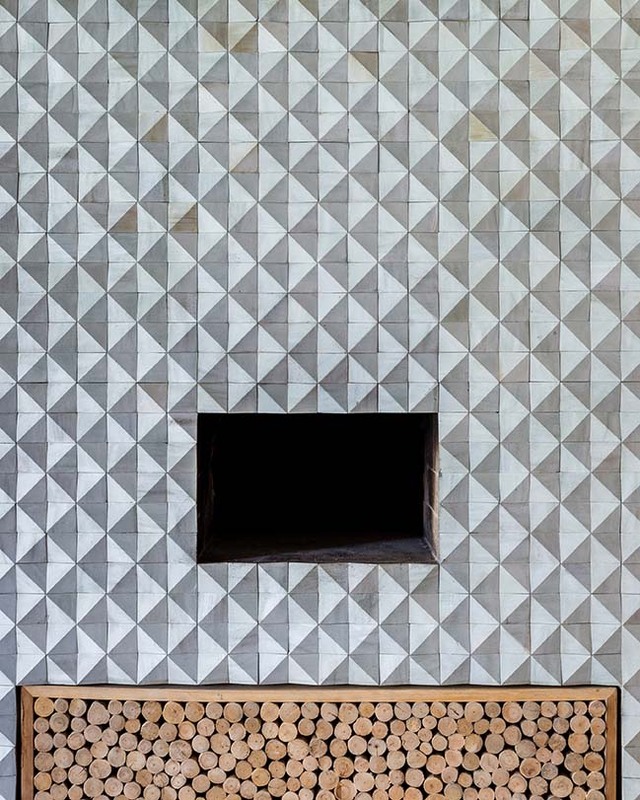 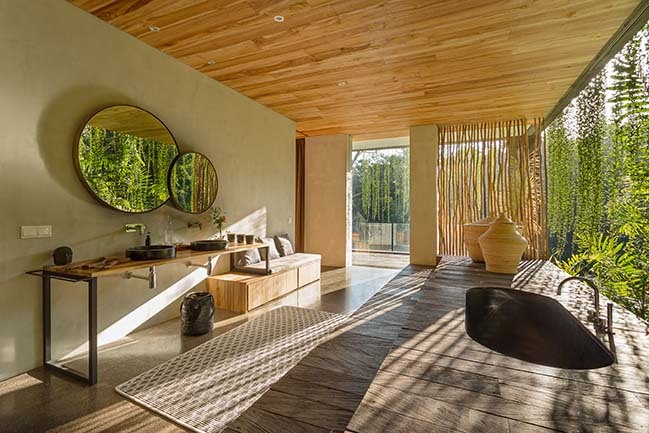 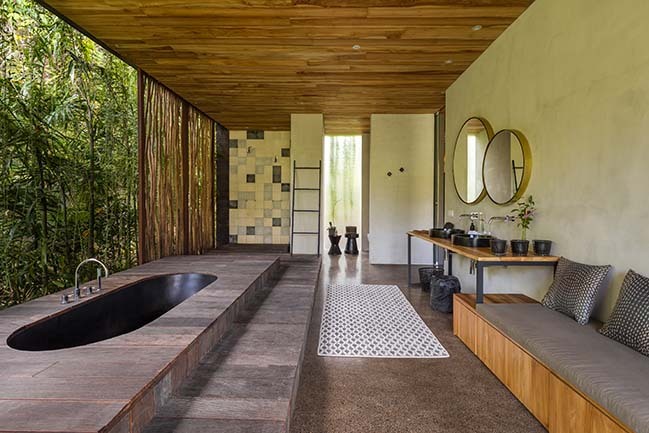 The material palette is largely comprised of natural and locally sourced materials, meaning that not only could local suppliers and artisans be supported by this initiative, but it also minimized the home’s carbon footprint.